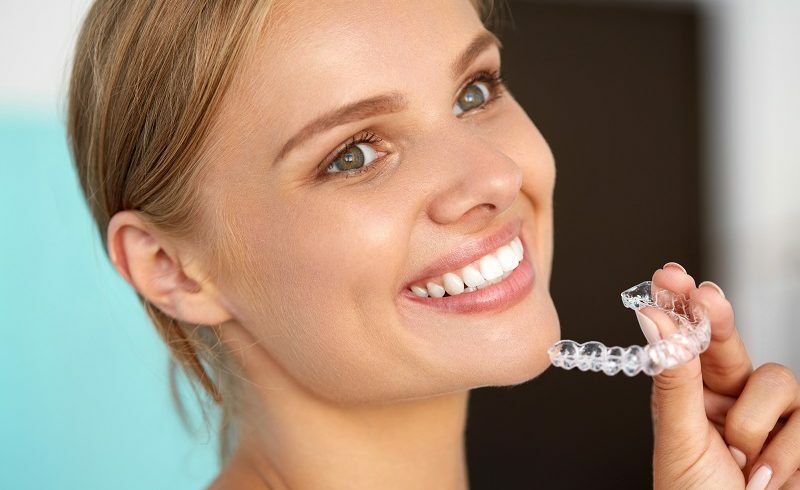 Dental or orthodontic braces are considered to be among those highly efficient devices that are fixed on teeth on a temporary basis to straighten as well as align them. They contribute a lot in resolving numerous oral flaws that include improper bites, crooked teeth and many more. Due to the presence of brackets, braces get easily fixed on to teeth. With high advancement into the field of orthodontics, a wide number of brace systems have been introduced that treat a wide range of issues in relation to teeth alignment. How Misaligned Teeth Contribute to Health Issues? How Braces Contribute to Enhancing Overall Health? Braces help a lot in the reduction of TMJ, i.e., Temporo-mandibular joint issue within the jaw up to a great extent. TMJ helps in connecting the jaw to the skull. But due to continuous opening and closing function of the mouth, the area gets affected thus leading towards arising of severe health issues. Such an unfavorable issue requires the best treatment. Some of the vital problems related to TMJ include headache, sinus, sensitivity to sound, locking of jaws, muscle related issues and many more. Constant protruding of teeth and jaw may lead towards the risk of dental decay. In such a case it is advisable to invest in high quality braces as they will align teeth to the correct position thus reducing the risks of TMJ disorders. Orthodontic braces quite often assist a lot in rectifying cosmetic problems. The depiction of perfect teeth by well known celebrities inspire us a lot to feel self-conscious and attractive. You may visit the World Wide Web in order to get exposure to the cost involved in getting them installed. After going through in a proper channel, you will come across a wide variety of cosmetic braces that include Invisalign, Incognito and 6-months smile. The treatment comprises of a series of clear aligners, fitting of a single bracket at the back of teeth and tooth colored brackets respectively. As soon as misaligned teeth get straightened, it will contribute to the boosting up of self-confidence which will make the person feel happy. A good smile ensures good mental health. Braces have been very much useful in reducing large gaps thus reducing issues regarding over-crowding. Such large gaps are the results of lodging of food particles for long, which may finally result in tooth decay. It is impossible for ordinary toothbrushes to reach such points due which bacterial growth is heightened. By installation of quality braces at the right time, you may prevent yourself from unwanted oral issues. You may easily avoid gum issues, tooth loss, bad breath, jaw bone destruction and many more. If your teeth are in a healthy condition, then you will enjoy good overall health too by staying aloof from cardiovascular issues, diabetes, and strokes. These are some of the ways through which braces may contribute to enhancing the overall health. It is better to contact with any orthodontal specialist, as only a cosmetic dental surgeon will not be able to do the right type of bracing altogether.